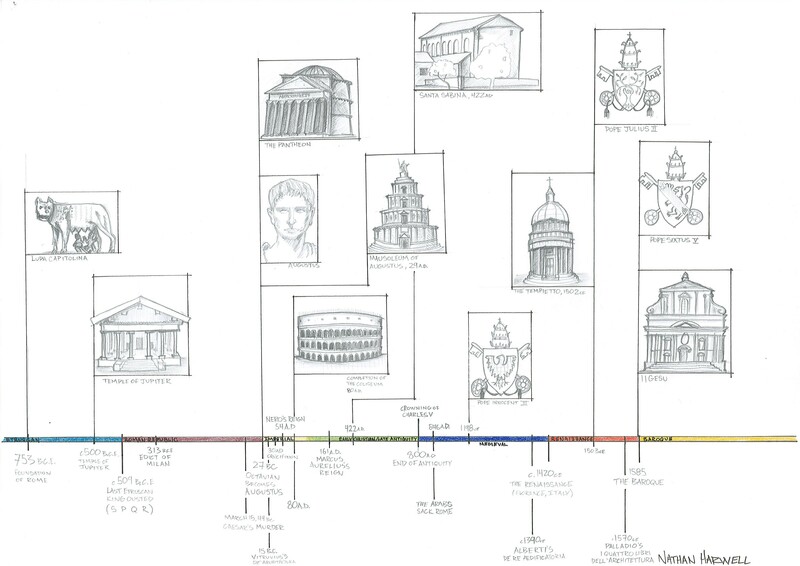 Understanding the layers of a city with nearly 3,000 years of history can be a challenge, especially for Oklahomans. 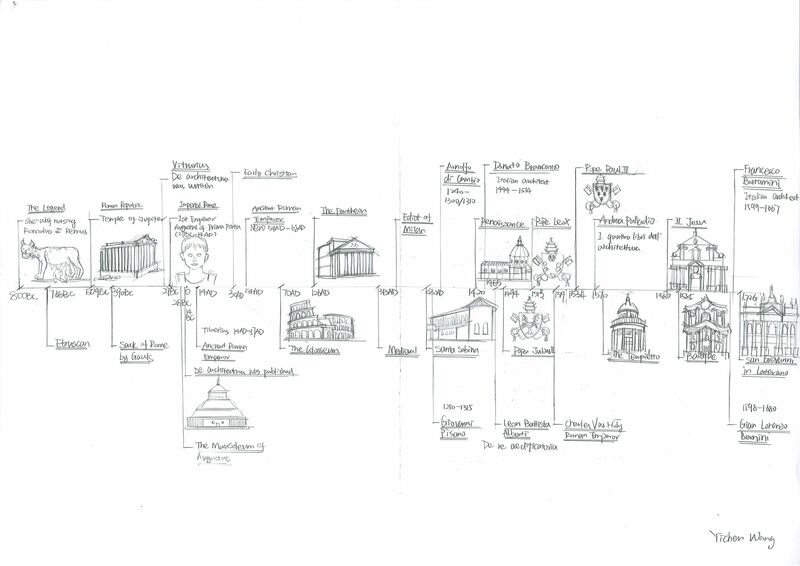 In order to begin to grasp and order the people, places, and events that have shaped the city students created illustrated timelines in their history course this week. 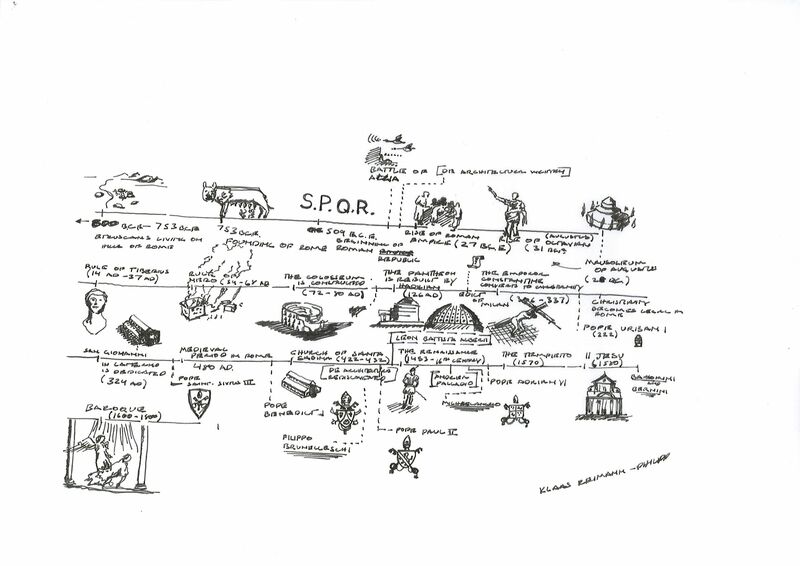 The timelines include major figures, events, and monuments from the founding of the city through the Baroque era.